Leon is a 9-5er whose main focus in his home life is the efficient use of all resources which he is lucky enough to have. Donuts are a delicious staple of the American breakfast scene. They stand as heroes in the breakfast pantheon, next to pancakes, waffles and chocolate muffins. There isn't much that can compare to a fresh, hot, glazed donut when it comes to over-indulgent foods we're allowed to call "breakfast". Conversely, an old cold donut is one of the least palatable things you can put in your mouth. It's not too difficult to revive some foods from their postmortem state, but reheating a delicacy such as the glazed donut takes a special touch. Here, in a few steps, you can learn how to hone just such a touch. Though this seems like standard procedure, I'm still amazed everyday by the number of non-handwashing people I see. Even after all our scientific discoveries about bacteria and viruses, there is still a huge portion of the population that skips this simple yet important step. So do yourself and any other potential donut reheaters a favor and wash those hands. This is a natural follow up to step one, and also considered a no-brainer, with one critical difference. Use a paper towel to dry your hands but save the, now damp, paper towel. You will need it for later. It should be damp enough to be mostly translucent but not dripping with water. If it is, squeeze out any excess water. This can depend on the quality/absorbency of the paper towels available. Your options will be limited, so just go with what you've got. This guide is focused mainly on glazed donuts, but cake donuts may be the next best substitute, given their hearty constitution. Here's where you use the damp paper towel saved from Step 2. The wet paper towel will help to keep the donut moist and will also diffuse the heat of the microwave, thus heating the pastry evenly and preventing hard spots. You want even dampness throughout the paper towel but not so much that it washes off the glaze. An added technique (not shown) is to create a slight tent around the donut with the paper towel so the two have as little contact as possible. This is a straight forward heating. No power settings are necessary so leave it on full blast. 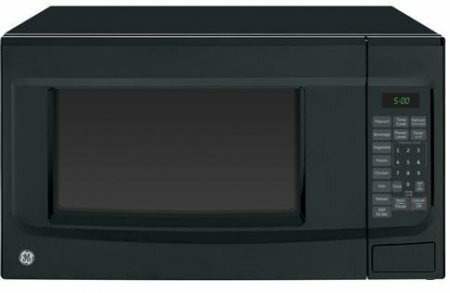 That being said, every microwave is a little different depending on wattage, make and model, so you may have to familiarize yourself with the particular unit you're using. Eight to ten seconds on high yields the the warmest donut without overcooking. This can be set by one of two ways: You can either push one of the "quick cook" buttons, (this sets the cooking time for as many minutes as the number you press, i.e., 1 = one minute, 2 = two minutes, etc. and starts automatically) and count backwards 10 seconds, or you can use the "time cook" button, which allows you to enter an exact time, and press start. Step 6: Enjoy Your (Almost) Fresh Hot Donut! But try not to gloat too much about it, no one likes a bragger. Plus, some people are a little squeamish about reheated food, especially reheated public food. But, if someone asks where you got it, you'll be in a great position to help them mine the break room for reheated gems, and maybe make a new friend. This is a newer model of the microwave oven used in this instructional. It services an office of 20+ people, five days a week. It has been in use for over five years and is still going strong! His name is Mic.